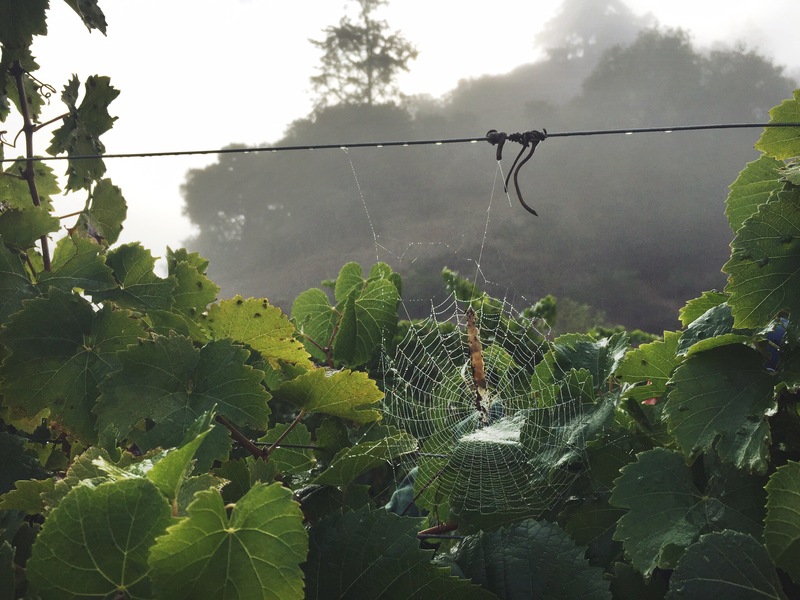 Harvest 2015 has officially come to a close, and we are heading into a new season here at the winery. Despite the doomsday reports in the news about the impact of drought on California agriculture, we are really excited about what this vintage has in store. As can often happen, the dry climate this year really stressed the vines, which has led to some incredible fruit quality. As many people have noted, picking also came early this year. 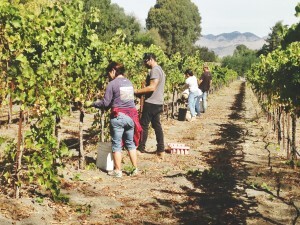 One question we often get from visitors is how an early harvest impacts the wine. Does the shorter growing season have a positive or negative impact? There are different views on this, but I tend to see this as a good thing. We are looking for maturation of the fruit and proper ripeness, and whether that happens early or late does not necessarily have much impact on quality. 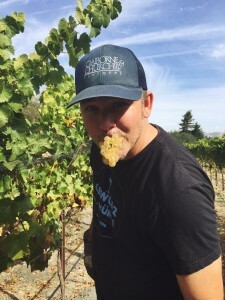 The benefit of an early harvest is that we are able to get the fruit off the vine and process it sooner, which minimizes the risk of something going wrong. The longer the fruit hangs on the vine, the more risk we see of damage due to weather like wind, rain, and frosts, as well as harm from pests like gophers, ground squirrels, and birds. Fruit that ripens quickly is generally safe from these hazards. 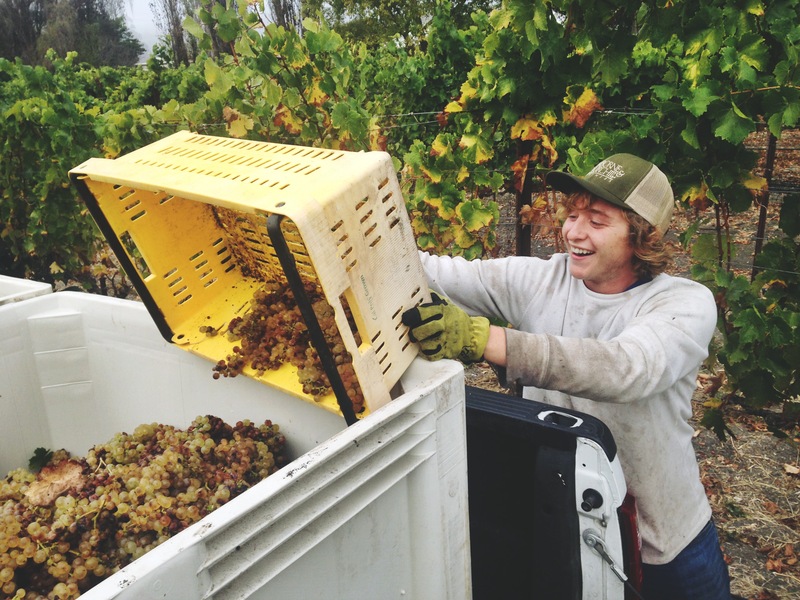 This week, we officially finished up harvest as our staff lent a hand to pick the rest of our Estate late-harvest Riesling, fruit that will be used in our 2015 Nektar. 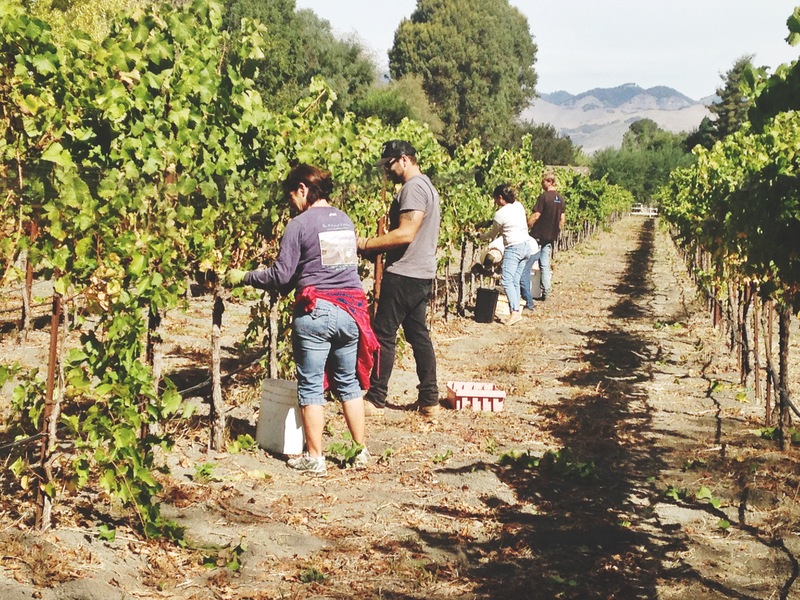 It was a fun way to get our hands dirty out in the vineyard one last time as we celebrated the end of another successful season here at Claiborne & Churchill! Now, for me, things will slow down a bit as we shift from around-the-clock pressing, fermentation, and punchdowns to monitoring the wines, topping barrels, and planning our 2016 bottling schedule. Out in the vineyard, the vines are starting to lose their leaves and will soon be dormant. As for me, after the craze of crush, I’m ready for a little breather, too. I’ll be sitting here in California on the edge of my seat with a glass of Pinot in hand, waiting to see how and when this El Niño winter everyone is talking about plays out. We just had our first big storm of the season yesterday. But stay tuned: experts are saying there’s more on the way. From all of us here at Claiborne & Churchill, we’re wishing you and your family a wonderful autumn. Stop by and visit us soon, or plan on attending one of our upcoming events! Before you know it, these 2015 wines will be ready to pour, and we can’t wait to show you what we’ve been working on.